Panasonic presents its new DMC-FX30 digital camera. This 7.2 megapixel digital camera features a 28mm wide-angle lens with up to 3.6x optical zoom. This new lens allows photographers to easily capture a large group of people, or expansive architectural structures and landscapes with dynamic width and rich perspective. The lens part of the DMC-FX30 comprises of seven elements in six groups, including five lenses with six aspherical surfaces to generate high optical performance. The zoom ratio can be extended up to 5.3x in 3megapixel resolution mode with minimal deterioration thanks to the Extra Optical Zoom. By using the central part of the CCD, this powerful zooming function allows you to easily capture and magnify distant subjects. 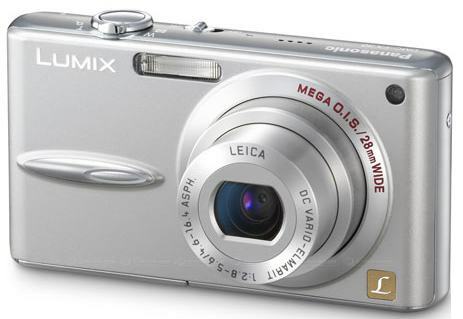 The Panasonic DMC-FX30 will be available in March 2007, price isn't known yet.